Regardless of experience, fitness or training, all Athletes interested in formal CAMP Rank must begin with Rank 1 and accumulate 6 months of “Time in Practice” before their next test or promotion. 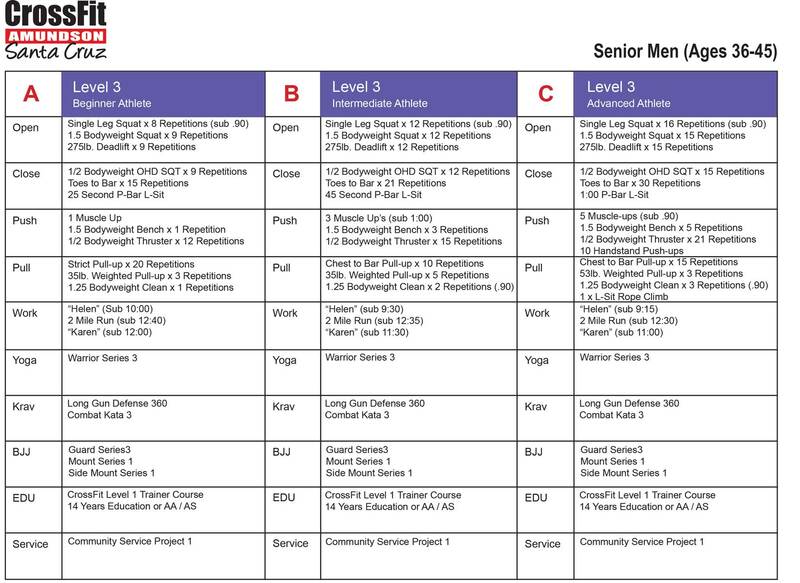 This page depicts the skills and capacities required of CAMP Rank Level 1 – 5 for both men and women in all age categories. By way of reference and to assist with goal-setting, each CAMP Rank Level is further divided into 3 micro-levels to include A, B and C, or Beginner, Intermediate and Advanced. These micro-levels are intended to assist Athletes focus their efforts and focus on measurable and repeatable goals than can be easily quantified. 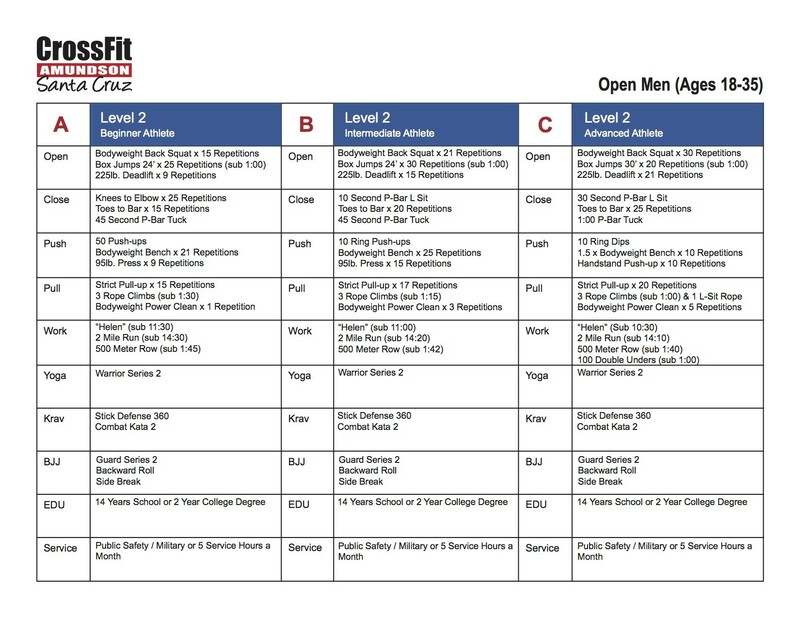 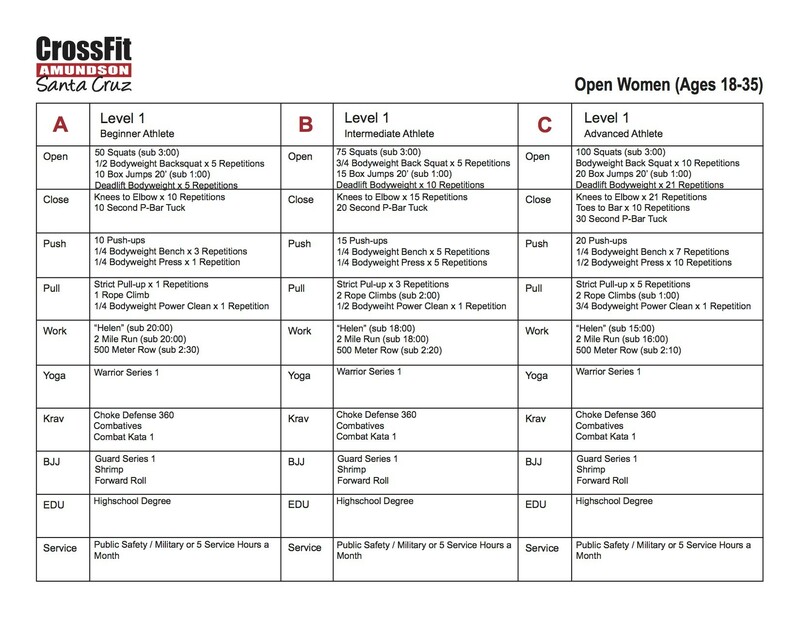 Our CrossFit Amundson Remote Members may print these charts directly from our website. 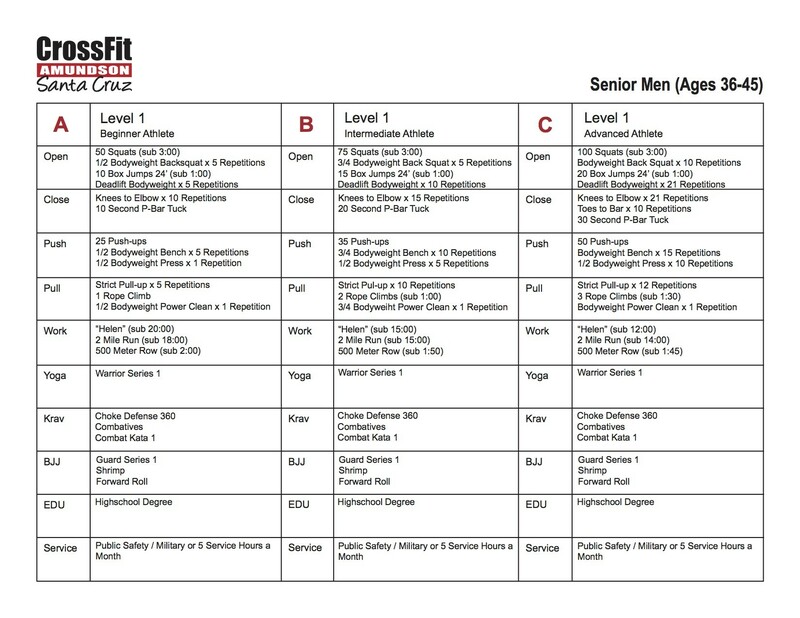 Our Headquarters Athletes in Santa Cruz will have access to a printed and laminated copy.